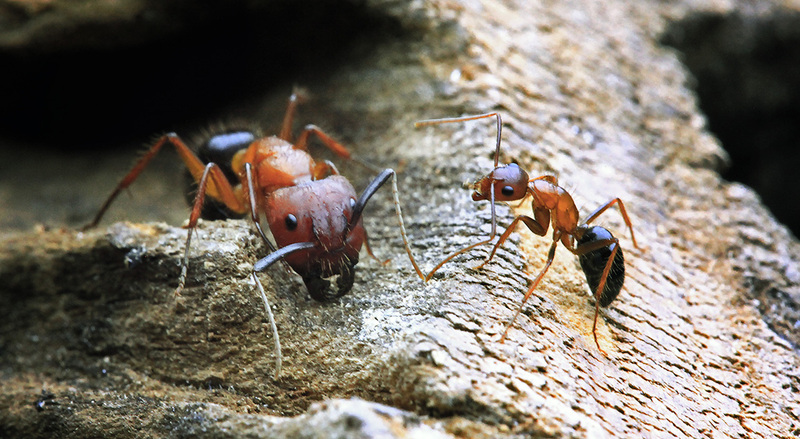 Ants, as eusocial insects, exhibit some of the most fascinating and complex programs of social behavior in animals, wherein physiologically-distinct individuals use cooperative behaviors such as nursing, foraging, nest maintenance, defense and policing to sustain colony homeostasis. 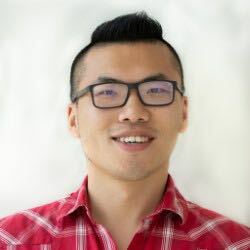 This division of labor is a central feature of advanced forms of sociality and often involves the allocation of behaviors among phenotypically distinct groups of individuals (termed castes) that vary by morphology, age and social context. 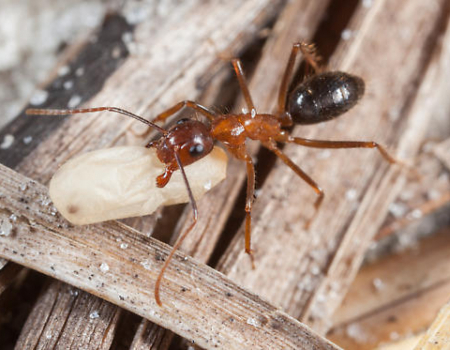 Our lab is interested in epigenetic mechanisms that establish, sustain, and modulate caste-based division of behavior, using the evolutionarily divergent ants Camponotus floridanus and Harpegnathos saltator as model systems. Our early work in this field produced the first genome-wide map of histone modifications in two distinct worker castes of the ant Camponotus floridanus, and identified the histone acetyl transferase (HAT) and transcriptional co-activator CREB Binding Protein (CBP) as an important regulator of caste specific differences in histone modification patterning and downstream gene expression in the brain. 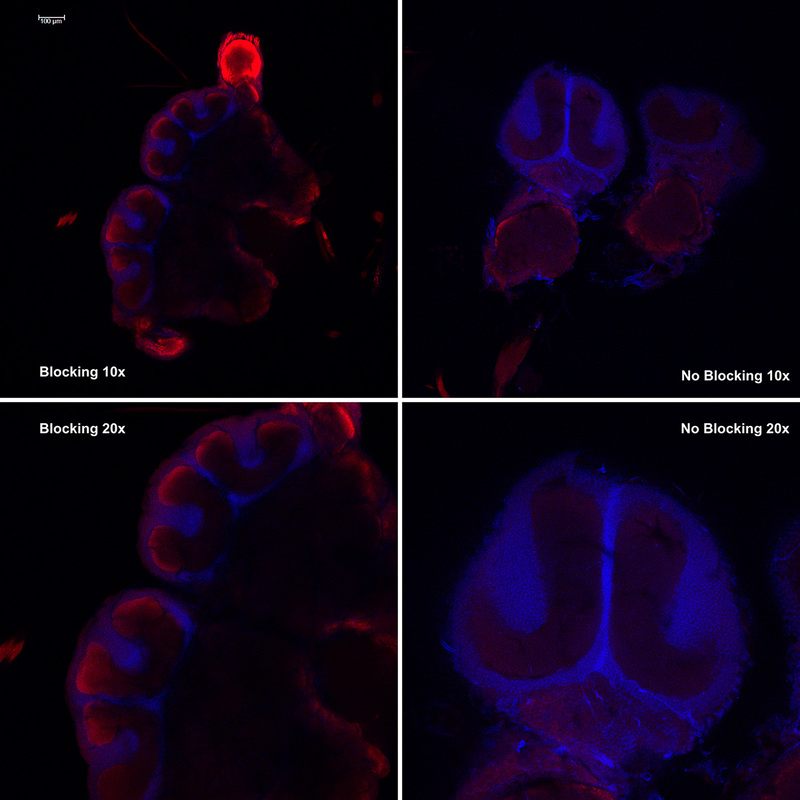 More recently, we have shown that experimental manipulation of HATs and histone deacetylases (HDACs) can reprogram the behavior of ant castes and sustain atypical behavioral programs in a stable manner for more than a month after treatment. This indicates that HATs and HDACs are important enzymatic partners in the dynamic regulation of behavioral programming achieved through the gene expression programs that alter the structure and function of nervous systems. 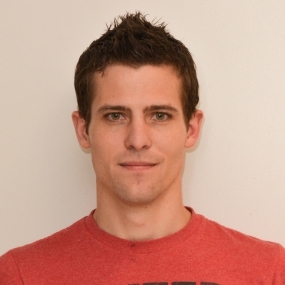 Our current projects focus on understanding how chromatin factors contribute to critical periods of behavioral plasticity during early adult life, as well as the closing of such critical periods later in life. 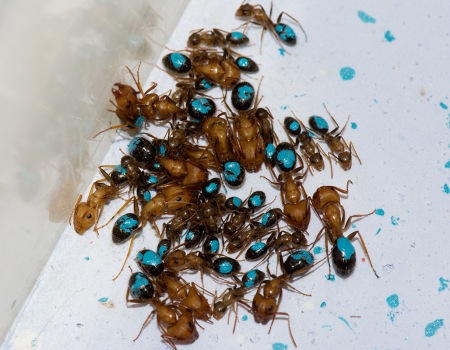 Upon exiting their pupal case as adults, major and minor workers are marked with unique enamel colors to track their age. 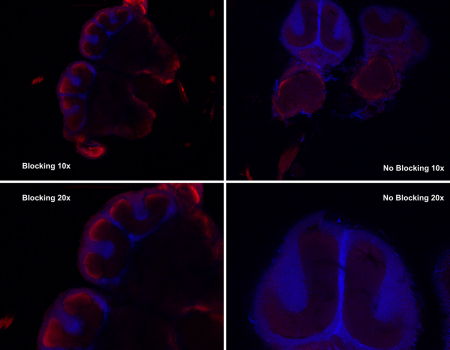 Camponotus brains stained for DAPI (blue) and Synapsin (red) highlight the distinct anatomy of the mushroom body calyxes. 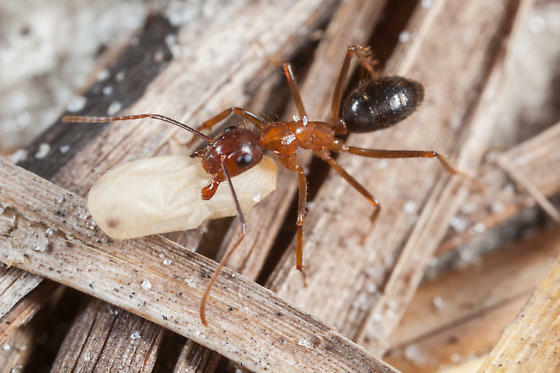 A minor worker carrying a pupa at a collection site on Big Pine Key, Florida. 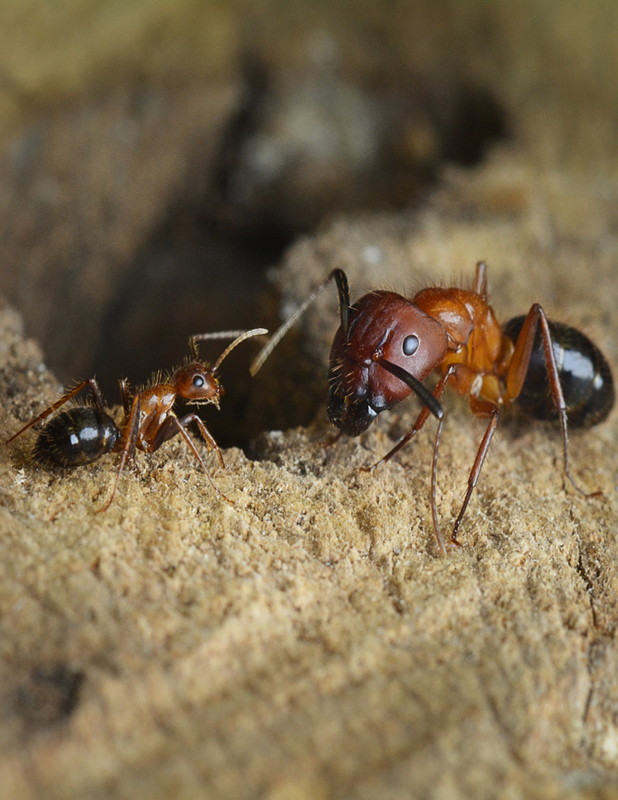 Major and minor workers antennate one another to distinguish friendly nestmates from unwanted intruders. 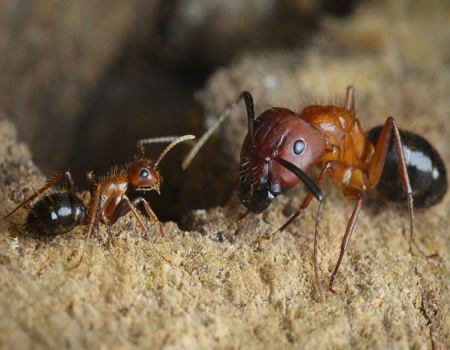 Major (L) and minor (R) workers in Camponotus floridanus have distinct morphological and behavioral features, which are used in the lab to study the role of chromatin organization in ‘programming’ these alternative phenotypes. Yan H, Opachaloemphan C, Mancini G, Yang H, Gallitto M, Mlejnek J, Leibholz A, Haight K, Ghaninia M, Huo L, Perry M, Slone J, Zhou X, Traficante M, Penick CA, Dolezal K, Gokhale K, Stevens K, Fetter-Pruneda I, Bonasio R, Zwiebel LJ, Berger SL, Liebig J, Reinberg D, Desplan C. Cell. 2017 Aug 10;170(4):736-747. Simola, D. F., R. J. Graham, et al. (2016). 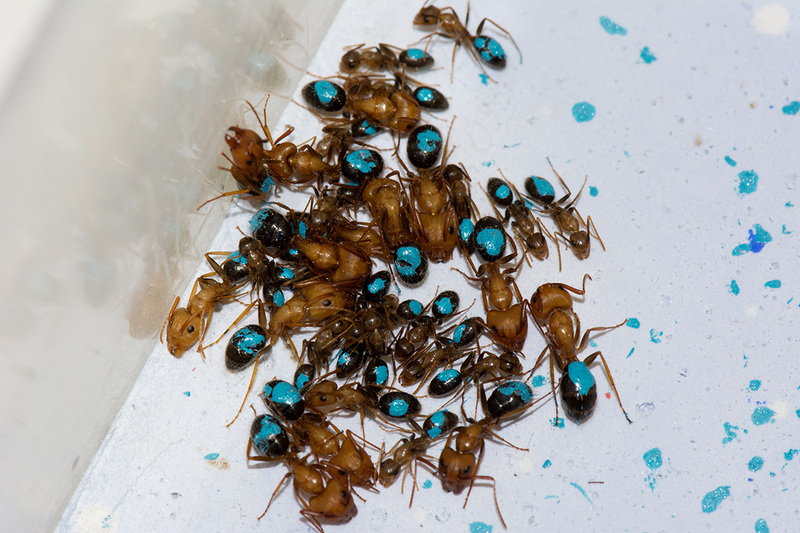 “Epigenetic (re)programming of caste-specific behavior in the ant Camponotus floridanus.” Science 351(6268). Yan, H., D. F. Simola, et al. (2014). “Eusocial insects as emerging models for behavioural epigenetics.” Nature Reviews Genetics 15(10): 677-688. Simola, D. F., L. Wissler, et al. (2013). 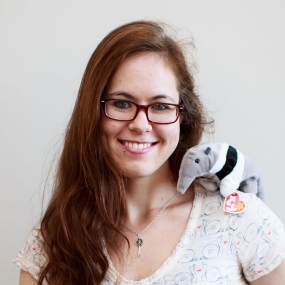 “Social insect genomes exhibit dramatic evolution in gene composition and regulation while preserving regulatory features linked to sociality.” Genome Research. Simola, D. F., C. Ye, et al. (2013). 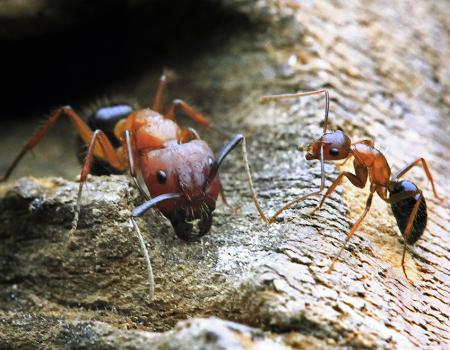 “A chromatin link to caste identity in the carpenter ant Camponotus floridanus.” Genome Research 23(3): 486-496.